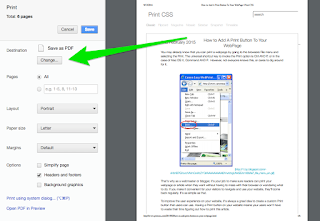 If you like to archive webpages, or share them, a great way is to create a PDF of the webpage. It's easy to do! 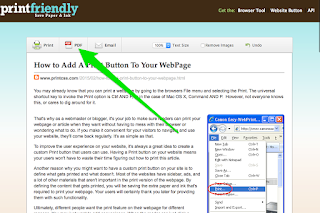 PrintFriendly.com is a cool web application that optimizes and formats webpages for Print or PDF. 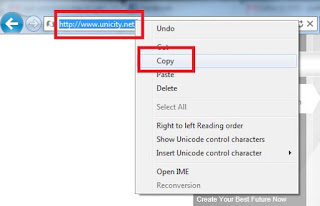 Step 1: Copy the URL of the webpage you want to save as PDF. Find a webpage you want to save as PDF. In the top of the browser is the address bar. URL is a fancy name for a webpage's address. 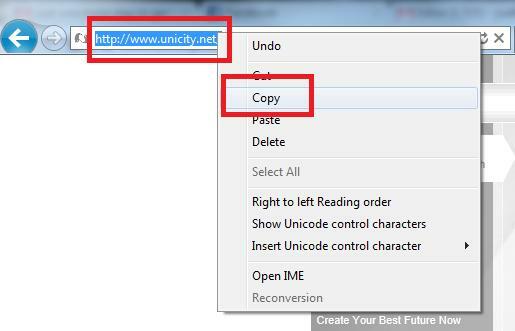 Select the address/URL and right click on it and choose "copy". 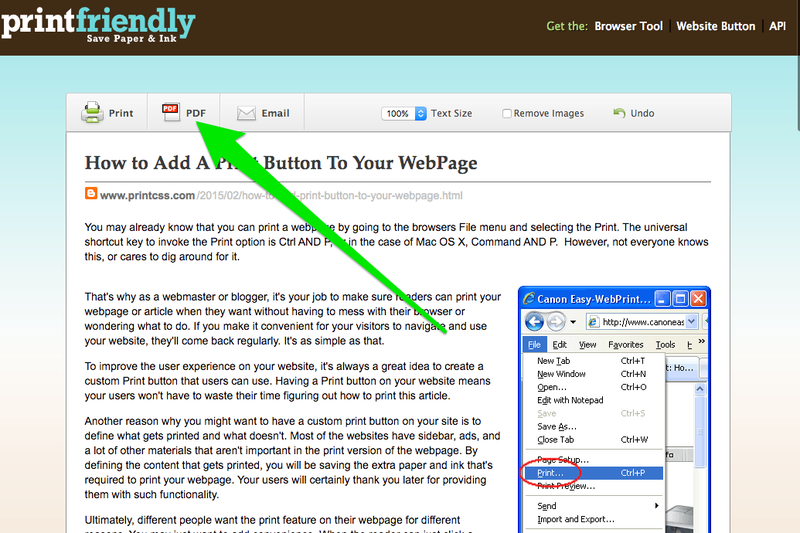 Now, go to PrintFriendly.com and paste the URL into box that says "enter a URL". PrintFriendly will optimize and format the page for printing or PDF. Click PDF, then save and you're done. 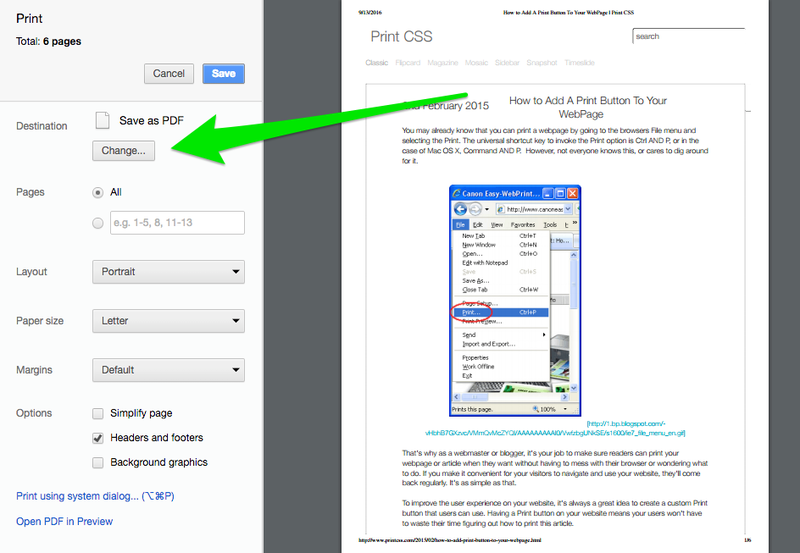 In your browser, go to a webpage you want to save as PDF. You're going to use the Print command, however we're not going to actually print the page. Step 2: Change Your Print to "Save as PDF"
That's it, it's that easy. Is there a chrome extension for this? If you're a blogger, you've probably considered publishing your blog to print. The good news, with some simple custom CSS you can convert your blog into an eBook. Another advantage of using HTML & CSS to format your eBook is you can convert to PDF and EPUB format. Images First step is to go through your blog and ensure you've got high quality images. General rule of thumb is bigger(physically) is better. You can have a large image on your website, but display it smaller. This will result in larger file sizes, and potentially slower page load, but with today's high speed internet this really isn't a concern (imagine netflix and youtube are streaming high definition video). Go through your blog and replace any small images with larger images. Font Chances are, your blog is using a Sans-Serif font. Wait a minute, what's a sans-serif font you ask? Ok quick lesson. You may already know that you can print a webpage by going to the browsers File menu and selecting the Print. The universal shortcut key to invoke the Print option is Ctrl AND P, or in the case of Mac OS X, Command AND P. However, not everyone knows this, or cares to dig around for it. That's why as a webmaster or blogger, it's your job to make sure readers can print your webpage or article when they want without having to mess with their browser or wondering what to do. If you make it convenient for your visitors to navigate and use your website, they'll come back regularly. It's as simple as that. To improve the user experience on your website, it's always a great idea to create a custom Print button that users can use. Having a Print button on your website means your users won't have to waste their time figuring out how to print this article.